Over the last couple years Rudy renewed his interest in photography. An interest that he began as a little boy living in New Jersey and continued on and off over many years through high school, college and into adulthood. In 2013 Rudy began to try his hand at sports photography. He started shooting high school sports for MaxPreps/CBS Sports as a freelance photographer. Rudy felt that it would be good way to stay active and keep off the weight. This year, as his portfolio grew and he achieved some notoriety locally, Rudy was approached by Cal Sport Media, which asked him to cover Texas A&M Aggies football during the 2014 season. Gladly accepting the offer, Rudy then received assignments to shoot Major League Baseball, namely the Houston Astros, Texas Southern University football and subsequently was credentialed to shoot the Houston Texans training camp and Texans entire home football schedule. Rudy’s images can be found at the Cal Sport Media website, Associated Press Images, Zuma Press images and probably if you look hard enough you just might find his images on local newspaper websites and high school and college websites. 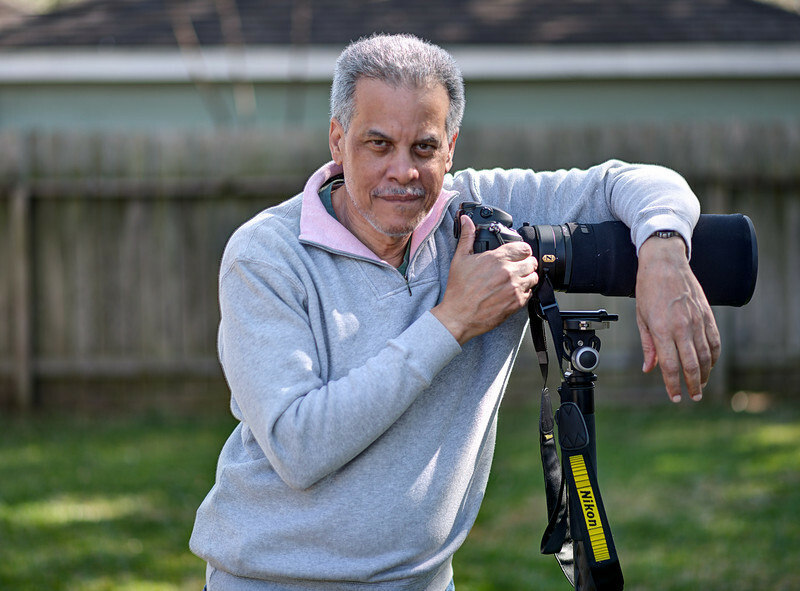 “Becoming a professional sports photographer was never in the cards and I don’t know where this will take me”, says Rudy, “but it has been a lot of fun.” “My photography IQ has grown significantly and I have met some outstanding photo journalists”. As for keeping the weight off? Rudy says that the weight is bound to come off if he has another weekend like last weekend by shooting football games three nights in row! Many of Rudy’s images can be found at his own website, www.rudyhardy.com. If you have time take a look-see.